As the traffic from smartphone and tablets rises every day, responsive design is becoming a very popular trend also in email marketing after having revolutioned the way we code websites. 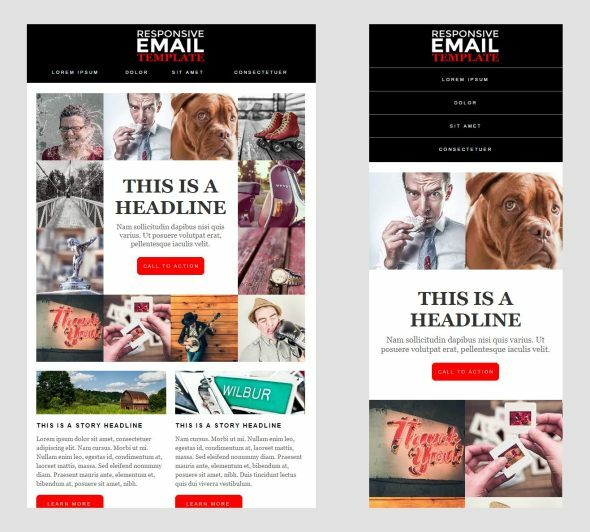 Creating a fluid, responsive email template is made more complex by the abundance of client software and devices in the market, making it quite difficult to be sure that your design stays consistent on every possible screen, resolution and OS. As you can see, it’s a very simple and versitile template that can be easily adapted for business or editorial purpose. CURRENT VERSION: v1.1.1, released on November 8, 2015. UPDATE: Original source code also available on GitHub. © 2006 - 2019 Marcello Brivio | All rights reserved | This page has been tested in all major browsers. Anyway, if I were you, I'd choose Google Chrome.